It’s no news that today’s millennials have become obsessed with skin care. I guess it is because people put so much prime on personal appearance. Hence, everyone is on the lookout for the perfect skin care product or skin care treatment. The thing about skin care is that it is not cheap. Topical products are cheap but are not as effective and treatments sometimes cost a fortune especially if done in Insta-famous clinics. To address this, there are now online shops that offers beauty machines and equipment for your own personal use. While these products are not cheap at all, they can be considered as good investments in the long run. Imagine never having to go to the clinic for your regular treatment because you can do it yourself at home. 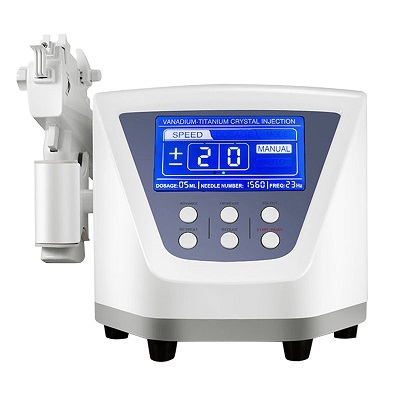 For example, a Vanadium Titanium Microcrystalline machine can help lighten and brighten your skin and can also supplement your normal skin care routine by making the skin take in topical products better. Aside from beauty machines and equipment, there are also other health related products and postpartum repair beauty equipment available for home use. With these products, beauty is literally within your fingertips. For more information, visit https://www.secc99.com/.